The /egvs endpoint enables retrieval of a user's estimated glucose value (EGV) data, including trend and status information. OAuth 2.0 bearer token; see the Authentication section for details on this workflow. These query parameters specify the time window for the requested data; both are required. See the discussion of time in the Endpoint Overview section for more details on how they relate to device information. The G6 generation of sensors and transmitters introduced the concept of retrospective data smoothing to estimated glucose values. This smoothing incorporates three consecutive EGVs to produce a clearer, more readable trace for the user. Because three consecutive EGVs are not always available—for example, at the beginning or end of a sensor session—some EGVs cannot be smoothed. In these cases, the realtimeValue will be populated with a number, but the smoothedValue will be null. The recommended method for consuming the /egvs endpoint is to use the value field. 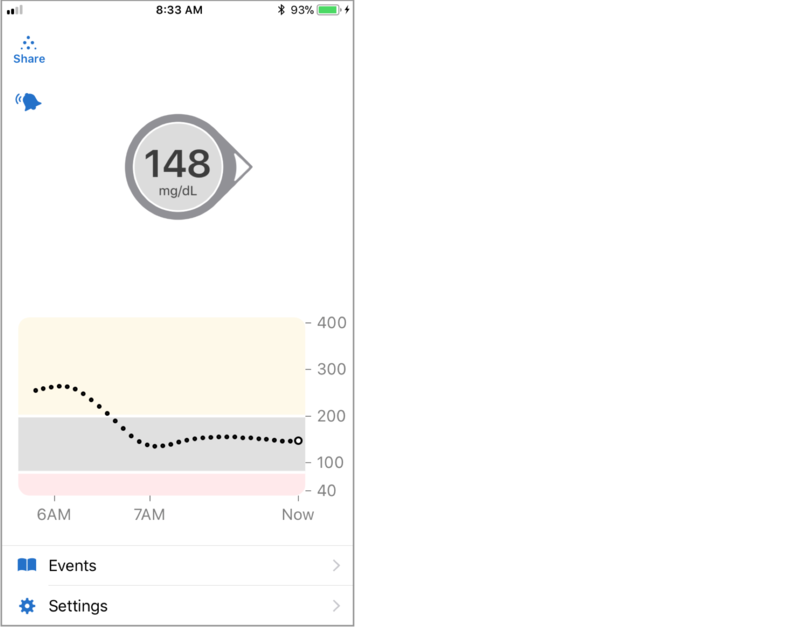 This will match what the Dexcom CGM user can see retrospectively on the display devices as well as in CLARITY. Due to how data is uploaded and processed, some records that initially have a null smoothedValue may later have this field populated, with the value field also changing per the rules above. For EGVs generated by G4 and G5 devices, the smoothedValue field will always return null as these systems do not have retrospective data smoothing. The documentation for an earlier version of this endpoint is available here.